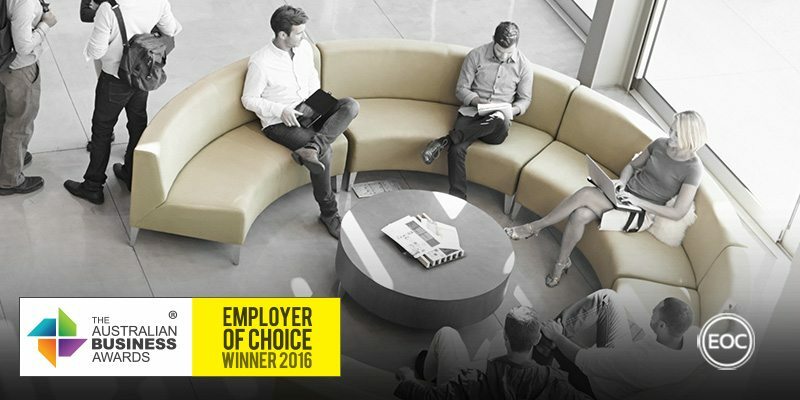 OMD Australia has been recognised as an Employer of Choice in The Australian Business Awards 2016. OMD is an international marketing and media communications agency, focusing on delivering media solutions to clients around the world. OMD Australia began operations in 2000 and has since established six offices, housing more than 500 employees Australia-wide. OMD believe that creating an inspiring, nurturing and well supported environment for their people results in better service for their clients. As a result, they focus on a workplace culture that emphasises a “Be the Best You Can Be” approach, which is defined by four key values. They include: team first, highlighting a collaborative framework; authentic, which ensures honest and up front conversations; challenge convention, the notion that innovation should be done with rigour; and fun matters, which focuses on fostering creativity and engagement. These core values are the lens through which new employees are hired, clients are engaged and work is measured. OMD provide employees with three-year career development plans that includes career advice sessions, mentoring schemes and internal courses provided by their own OMD academy. Additionally, the company has partnered with Harvard University to offer OMD University to employees on a monthly basis. Staff who attend 10+ training sessions per year are awarded with an OMD degree. This functions as a recognition tool in conjunction with other rewards initiatives that see high performers receive gift cards and recreational devices such as iPads. An online life/work HUB has also been launched, recognising the importance of flexible working practices that allow for the provision of support services. Perks include: annual ski trips, cake days, gym memberships and extra holiday leave. These initiatives compliment health-centric programs such as eye tests, flu shots and healthy eating seminars to help ensure that employees are healthy as well as happy.